Syrup comes in many thicknesses and flavors. Store bought pancake syrup often has too many preservatives and not enough flavor. I desided one morning to making my own syrup, because I did not wanted to go out to the store ( good reason right) Well making your own syrup from natural ingredients allows you to know exactly what's in it. You can also adjust the intensity of the flavor and the thickness to your preferences and your family liking. Place the brown sugar in the saucepan. Slowly add the water. Stir gently until the sugar is completely dissolved. 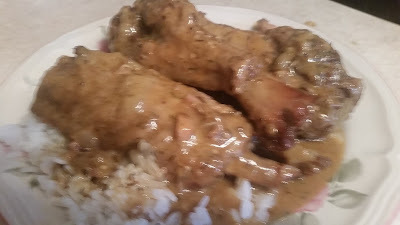 Place over medium heat and stir frequently. 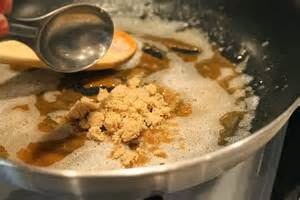 Add the granulated sugar when the brown sugar mixture is warm but not hot, stirring constantly as it is added. Continue to stir after all of the sugar is added. Make sure there is no sugar on the bottom of the pan that has not dissolved. 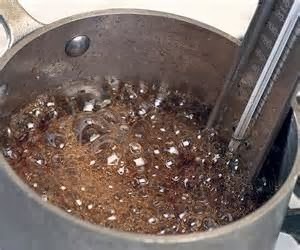 Stir in the vanilla and maple extracts when the sugar mixture begins to simmer. Stir gently until the flavors are completely mixed in. Bring the mixture to a gentle boil and hold it there for 1 to 2 minutes. Reduce heat and simmer the syrup for about 15 minutes. If you cook it longer the syrup will be thicker; if you cook it less it will be thinner. Remove from heat and serve immediately over pancakes, waffles, or French toast. 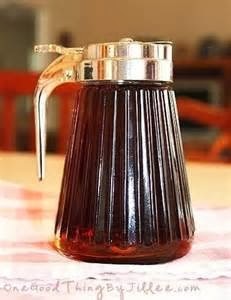 Store any leftover, cooled syrup in a covered jar, an old syrup bottle that has been cleaned or a mason jar. It will keep for several weeks in the refrigerator. Whisk together flour, baking powder, and salt in one bowl. In another bowl, mix the sweet potatoes, milk, brown sugar, butter, and orange zest. Make a well in the center of the flour mixture and add the wet ingredients until combined. Beat the egg whites until stiff peaks form. Add the egg whites into the sweet potato mixture a 1/3 at a time. It will be thick! Set up your waffle maker and go! Zucchini Waffles : Source: Adapted from The Perfect Pantry. (Fool The Kids With One). Preheat waffle maker to 400°F. Grate the zucchini on the large holes of a box grater. Use a strainer or dishtowel to then squeeze some of the moisture out of the zucchini, then set aside. In a large mixing bowl, combine flour, baking powder, salt, cinnamon and sugar. Stir together. In another large bowl, whisk together the milk, eggs, and vanilla extract. Add the dry ingredients (the flour mixture), and beat until smooth. Fold in the zucchini and mix well. Spray the waffle maker with cooking spray (top and bottom plates). Spread half of the batter evenly over the bottom of the waffle maker (generally about 1/2 cup per waffle), and close the top. 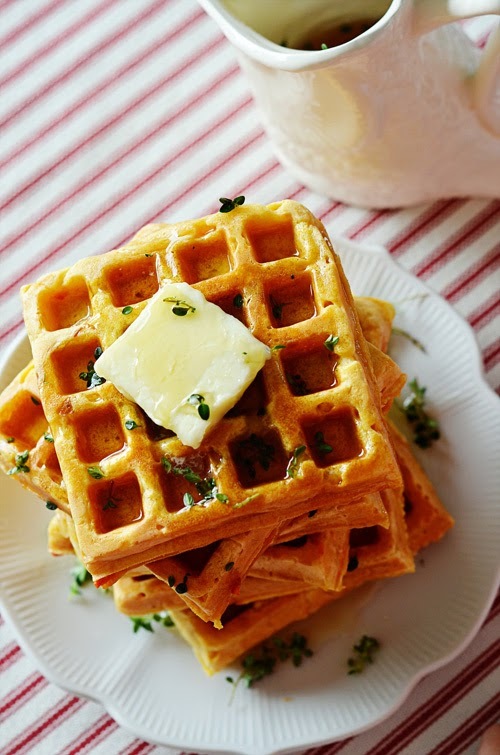 Cook for 5 minutes, or until the waffles are as crisp as you like them. (Different waffle making equipment will cook at different rates, so please follow the instructions that come with your machine.) Repeat with remaining batter. ( I love this one because sometime I don't eat syup). Mix 1/4 cup yogurt with oatmeal. Add buttermilk, oil and egg. Mix flour, cornstarch, baking powder, baking soda and salt. Combine with yogurt mixture. 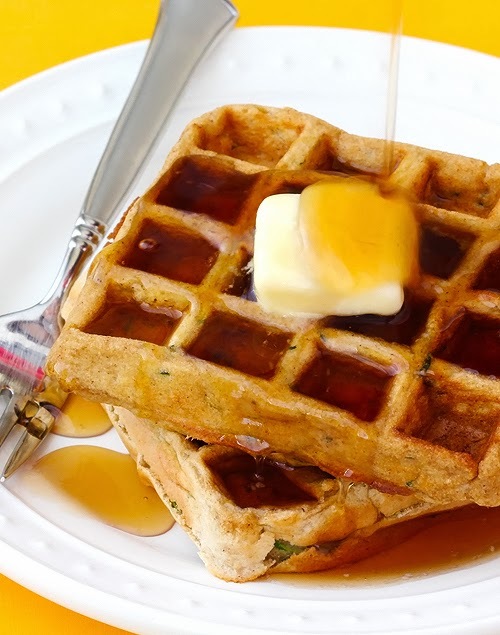 Cook in a greased waffle iron. Brown bananas in a greased nonstick pan over medium heat for 2 min. Flip, add orange juice, cook 30 seconds. 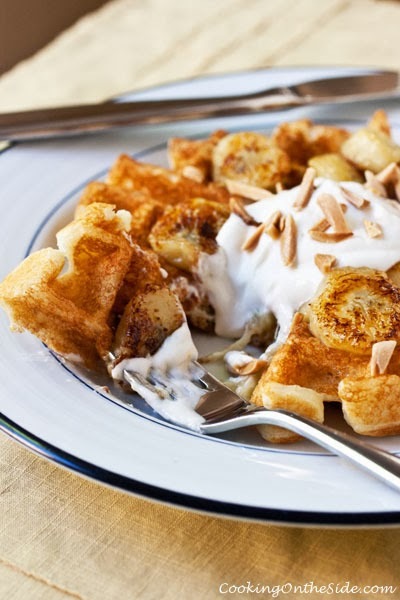 Serve over waffles with more yogurt and almonds.